Following the Annie Mac approved Summer 2012 smash ‘Through The Night’, Drumsound & Bassline Smith are back with their dancefloor filling new single One In A Million featuring the sensuous vocals of Fleur. Soaring 80’s synths and Fleur’s infectiously catchy vocals fire One In A Million straight into dnb anthem orbit. 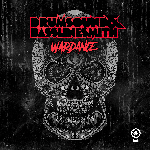 On ‘One In A Million’ Drumsound & Bassline Smith show off where their strengths truly lie, making great music that appeals to the masses. After a sensational 2012 ride that highlighted with two UK top 40 singles in What Can You Do For Me, a collaboration with Utah Saints and their own Radio 1 A-list track Through The Night; a BBC Radio 1 Essential Mix; main support on the DJ Fresh Nextlevelism UK Tour; gigs around the world including UKF’s sold out Brixton O2 Academy New Year’s Eve party; remixing Jeff Wayne’s classic War Of The Worlds; plus presenting a Daily Dose show for BBC 1Xtra, a monthly feature on 1Xtra for MistaJam, the foundations for 2013 and One In A Million look rock solid. Hot new 22-year-old talent, Fleur, is fresh off vocal duties on DJ Fresh’s recent Nextlevelism tour, where she was introduced to DJ Fresh’s main support act, Drumsound & Bassline Smith. It was only a matter of time before the sparks flew and with such common musical tastes, it was the perfect match for the collaboration on One In A Million. One In A Million is preceded by the free download only track Back To The Future which is gaining support across the board from dance tastemakers such as Annie Mac, Mistajam and Annie Nightingale. All of this ties in perfectly for One In A Million dropping into BBC Radio 1 on Friday 8th March via an Annie Mac Special Delivery!